If you are in need of a cute purse or backpack, check out these Luv Betsey purses by Betsey Johnson on 6pm.com! 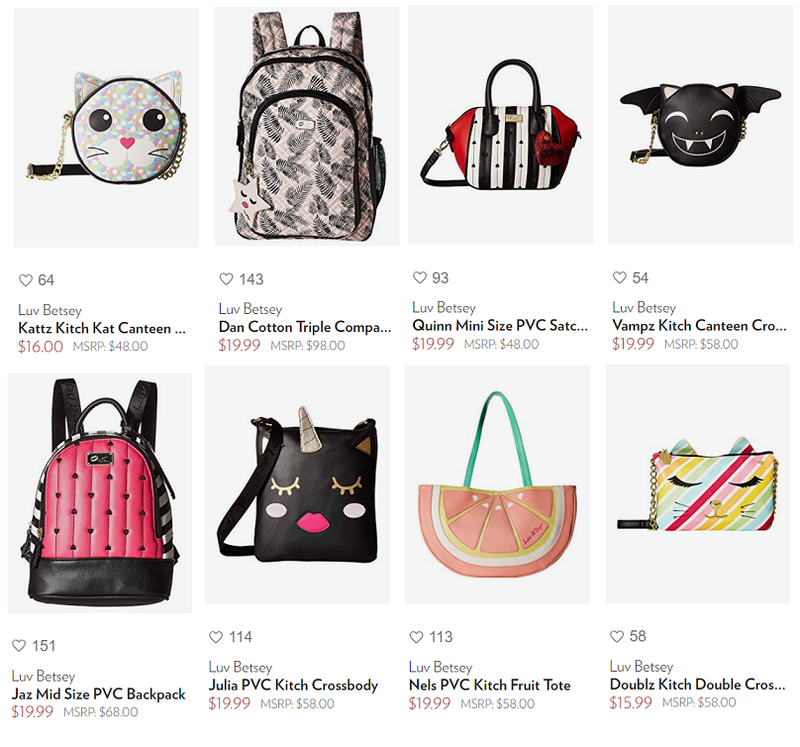 So many styles are under $20, which is a great price for Betsey purses! Shipping is FREE when you make a purchase of $50 or more. Click here to check out all of the styles on clearance.